08 vacancies for the posts of CPM/AM/JE. Application Form is invited from experienced personnel from Metro Rail / Govt. Organization / PSU's / Private Sector latest by dead line. Participants who are highly qualified engineers with enough experience should download the application form by visiting the official website of this organization. Best fit candidates should prepare to face interview to catch these dream jobs. Asked eligibility having aspirants are most welcome for this reputed and highly paying post. 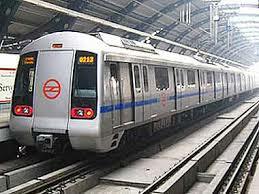 Required details in relation with process to apply for Maha Metro Recruitment is available in this section of web page so that appliers may apply for following vacancies easily. All forms must be submitted by appliers to provided location on or before 27th October 2018. All the best to eligible candidates!! Completely new notices of Maharashtra jobs for appliers will be here if they stay on this web page and visit website metrorailnagpur.com on regular basis to receive daily updates of Metro Rail Jobs. Best of luck to all capable applicants for this golden opportunity of careers!! Details about MMRCL jobs are given below by the web portal where you are right now. Educational Record: Applicants must have B.E. (Civil/ Mechanical / Chemical) or M.Sc (Environment Science) from a Govt. recognized University / Institute. Candidate with M. Tech (Environment) will be preferred. Selection Method: The selection of the candidates will be done on the basis of Interview followed by Medical Examination. Civil Lines, Nagpur – 440 001. Select suitable link, related to this recruitment. Read the complete details and fill the application form in prescribed format with correct details. Submit the form through offline to following area.